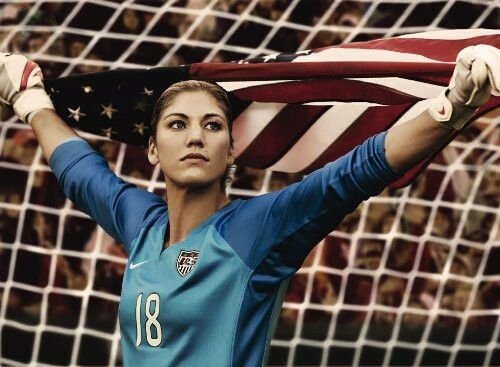 This inspiring image of Hope Solo, goalkeeper for the Olympic gold medal-winning US National Soccer Team, is sure to be a favorite with your soccer fan! The 24 by 36 inch size and high-quality glossy photo paper make it perfect for framing. Ships rolled in a poster tube. For more empowering wall art, please visit our Art / Decor section.